Sell Your House Fast in Seattle, WA: We Buy Houses in 15 Days! Need to sell your house fast in Seattle, WA? We buy houses in Seattle in cash, in just 14 days. Sell your house fast in Seattle – get a cash offer in 48 hours! Need to sell your house fast in Seattle? We’ll buy it in cash, in just 2 weeks. Hi, we’re Fast Friendly Home Buyers, a real estate investment company that pays cash for homes here in Washington. If you need to sell your house fast in Seattle, WA, we can help. We buy houses in Seattle, WA for cash and can make an offer on your home in just 48 hours, provided you’re a good for us. When you work with us, we’ll be buying your home directly from you – so you won’t need to list it on the market, and wait for it to sell like you would with a traditional real estate agent. We’ll pay in cash, and take care of all the closing costs and paperwork – making it the easiest sales process possible. We can close on your home in as fast as 15 days if you want, and we offer full disclosure so there’s no need to talk with your attorney. Once you get our offer, you can take 30 days to think it over and decide if it’s the right fit for you and your family. Compassionate, local cash home buyers here in Seattle. There are a lot of companies who buy homes quickly in Seattle, so what makes us any different? First, we close fast – in just 15 days if that’s what you need. We’re also compassionate about your situation. We know that you may be in a tough situation, where you’re trying to avoid foreclosure, or maybe you just lost a loved one and need to figure out what to do with their home. We’re not judgmental, we just want to buy your home at a good offer if that’s what your situation needs. Second, we offer a really fast evaluation and can make you a cash offer in just 48 hours – and we pay top dollar for what your property is worth. Third, we’re willing to help with the moving cost. We’re also ethical in the way we do business. We won’t change the offer number up on you last minute like some cash home buyers will, and we try to do deals that are in your best interest – not just ones that are wins for us. We won’t pressure you or make you feel obligated – you can take 30 days to decide on our offer. We’re ready to buy your home for cash in Seattle. We pay cash for homes in Seattle and the greater Seattle area. We’ll take care of the closing costs and paperwork for you, and there are no fees, and no commissions to pay. You can simply decide if you want to take our offer, and we’ll take care of the rest and work to make it a very easy, fast, hassle-free selling experience for you. We also buy houses as-is, so if your home is ugly or in need of repair and you don’t have the time, money or desire to fix it – that’s no problem. We’ll buy it in just about any condition. Whether you’re looking to avoid foreclosure, move fast for a new job you got and are relocating to, get rid of bad renters, or if your situation is a code violation, pre-foreclosure, or probate, we can help. To sell your home for cash in Seattle you just need to find a reputable cash home buyer (or, real estate investor) willing to buy it outright. We buy houses in Seattle as-is, no matter the condition. We buy houses anywhere in Seattle, so if you’re looking for honest cash home buyers in Seattle who can help you sell your home as fast as possible, we’d love to talk with you! Our company, vs. a real estate agent. There are a few major differences between working with our company. The first is that we buy houses in Seattle in cash, directly from you, the homeowner. A realtor on the other hand, lists your house on the market, and then shows it to prospective buyers who may be interested. The second difference is that we buy in just 15 days (depending on your situation) whereas a realtor can take anywhere from a month or two, to much longer, depending on how interested buyers are, and the local housing market you’re in. Finally, with us you can sell your house totally as-is, without having to fix it up. When you sell by listing it on the market, you need to have the time, money, and ability to make repairs so you can sell. Generally real estate agents are great solutions for most homeowner, they just aren’t for everyone. If you want to make the most money possible on the sale of your home and can make repairs your home needs, you should try a realtor. If you don’t have time to wait, but need a really fast sale, and aren’t able to make repairs or fix it up, that’s where we can help. 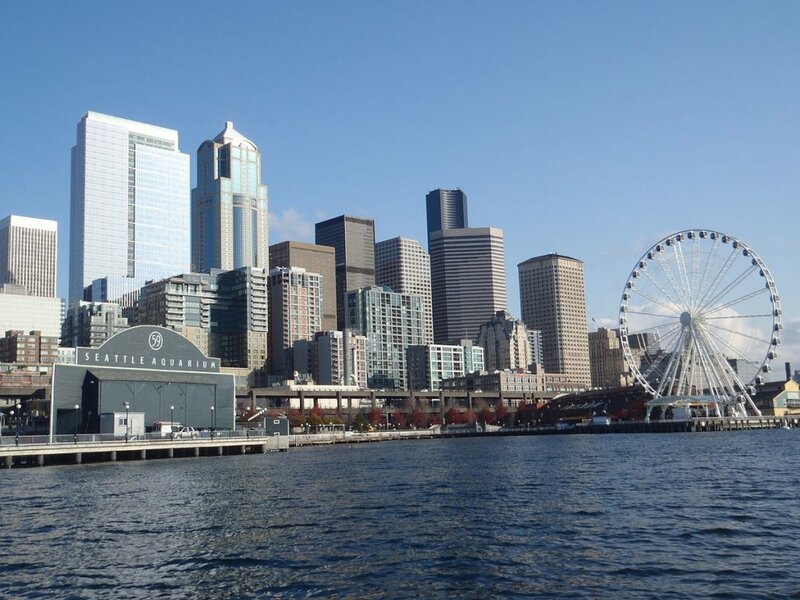 Besides Seattle, we buy cash homes in these cities across Washington.